Armenian brandy producer, the label of which bears the name of its brand owner, enters the Russian market. Thus the Shahnazaryan family emphasizes it’s adherence to the centuries-old traditions of Armenian wine-making, while their family name guarantees high quality of every bottle of brandy. The Factory is already famous in Russia, the Ukraine and Armenia as a supplier of brandy spirits of special standards. 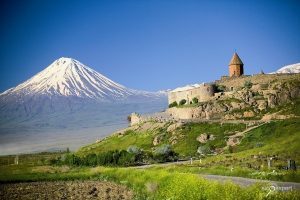 Today every Russian citizen has a unique opportunity to feel the generosity of the Ararat valley’s Sun in his snifter. In 2012, the “Shahnazaryan” Wine and Brandy Factory established its position as a major Armenian brandy supplier and moved up from the 20th place to the 12th. 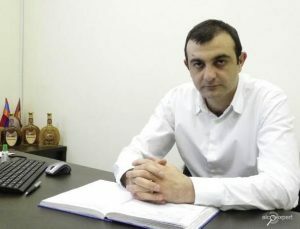 Armen Shahnazaryan, the head of this Wine and Brandy Factory, talks about how Armenian wine-making art is realized through up-to-date technologies of modern production, about unique brandy production under the symbolic name of “Zhemchuzhina Armenii” and about the Factory’s plans concerning Russian market. – Tell us about the name of your company. Why was it decided to give it a personal name? – True Armenian brandy production is something more than a mere commercial project for the Shahnazaryan family. It is a lifework and every day we do our best to realize centuries-old traditions of wine-makers’ and wine-growers’ craftsmanship of the Ararat valley in our brandy, to hand multifaceted culture of our national heritage down to true brandy connoisseurs outside Armenia. It is a matter of honor for us when each snifter reveals gorgeousness, taste savors and aroma notes which age given to brandy by our generous nature. This is when we are not ashamed to call such product with our family name. Our factory’s credo is compliance with the traditions, deliberation, sense of measure and self-esteem. These are our family’s values, which are also realized in our business approaches and relations with our partners. – Describe the process of Armenian brandy production in your Factory. What are the main production peculiarities? – Brandy is an amazingly delicate and multifaceted beverage. Each sip reflects the wine-maker’s or wine-grower’s soul. Each sip reflects distillation scrupulosity in full accordance with old methods. Each sip reflects slowness of light spirits’ long ripening in oak casks, which are hidden in cool vaults cut in the depths of mountains. So, this process is similar to alchemic mysteries. And we base our production process on the canons of this marvelous golden beverage production. We are inspired to work with wine, brandy spirits and oak by almost 90-year old history of Parakar Wine and Brandy Factory, which was found in 1924. This legendary enterprise, which is now a part of our family Factory, possesses one of the hugest collections of old brandy spirits in Armenia. This is a real fount of priceless experience for any wine-maker, a real model to emulate and a standard of brandy-making art. In the middle of 2000-s we set a goal to realize this incredible atmosphere of traditions and time connections in modern high-technological enterprise. A new Brandy Factory was established at the foot of a picturesque mountain Ara. 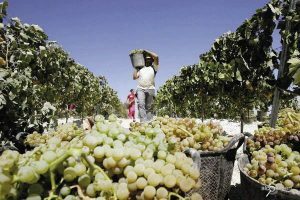 It was established to be the base for promotion of Armenian wine-making culture for as much people in the world as possible. – How does the “Shahnazaryan” Factory develop nowadays? – I can proudly declare that we managed to achieve in full what we have planned to achieve by the present days. 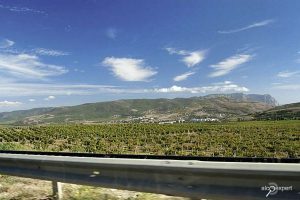 A new Factory is situated in Egvard on a very beautiful plateau surrounded by vineyards and fruit gardens. This area is 15 km far from Erevan and it is a very remote and ecologically pristine place. We can see even something sacral in the surroundings of the Brandy Factory, which can be interpreted as a patronage of higher forces, because in Armenia wine and religion has been closely connected throughout centuries. Maybe, it was God’s plan to encircle our vineyards with sacred places. Magnificent two-storeyed old church Zoravar built in the middle of the VII century decorates the vineyard at the west side. This church was built by an Armenian duke Grigor Mamikonyan. The eastern side of our vineyards is decorated with another two-storeyed burial vault Astvatcatsin, which was built in 1301. The Brandy Factory’s architecture itself reflects its essence and destination. 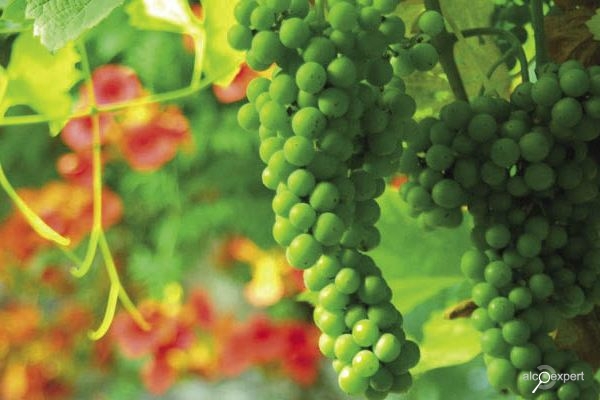 Wine-making estate ideally blended with landscape of a vast mountain terrace with gardens and vineyards. One of the most modern Brandy enterprises on the territory of the Republic of Armenia is situated inside this building supremely aesthetic and inspiring by its view. Ancient craftsmanship traditions are not forgotten inside the walls of this building. Thanks to the experience of our mine-makers, today we reached higher peaks in the art of distillation of quality brandy spirits. We experiment with upgraded constructions of alembics. Also we pay enormous attention to the development of coopering. Because ripening of brandy spirits in correctly prepared oak casks plays a very important role in brandy-making process. – Which achievements of this Factory do you consider to be the most significant? – We always consider other specialist’s opinion and value impartial opinion about our work. That’s why our Russian partners’ positive opinions about the level of our enterprise development are crucially important for us. Our enterprise was highly estimated after the “X5 Retail Group” company’s audit. The guarantee of successful partnership is mutual trust and commitment to quality. We have been following these principles for several years, establishing reputation of a reliable partner for a major Russian retail network dealing with brandy-making under private trademarks. – Which companies do you supply with brandy spirits? – The whole list is rather enormous. Moreover, considering business ethics, we shouldn’t name some of them at all. But among our clients there are a lot of Armenian manufacturers. Last year we exported more than 1,5 million liters, and today we are holding the leading positions in exporting brandy spirits from Armenia to Russia, the Ukraine and Germany. Among Russian clients we have Stavropolsky Wine and Brandy Factory, Usovo Wine and Brandy Cellars, Moscow Champagne Plant, Fanagoria. These are very respectable companies, which care about their image and select suppliers very carefully. – Why did it take you long to launch your own brandy brands? – We know Russian market very well to prepare entering it without any haste. In spite of the Russian market relative stability, I consider that it is possible to say your “new word” and share your own opinion about our national beverage in the market of Armenian Brandy in Russia. 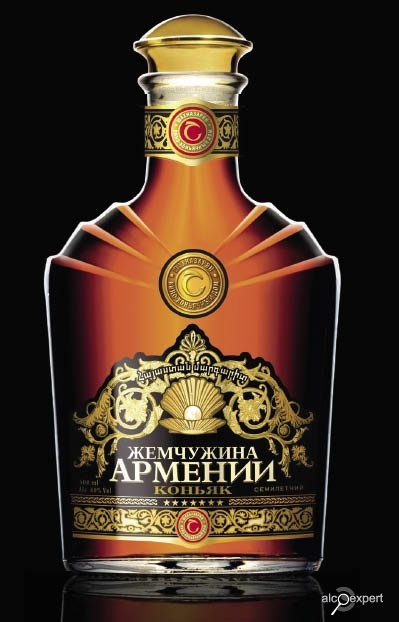 The major part of the biggest segment here (the “standard” segment) is occupied by non-branded production under the title “Armenian Brandy”. Many manufacturers work with it and we are ready to offer Russian consumers the product they are waiting for and used to buy. Another category is the variety of trademarks the name of which corresponds to the main Armenian brand, Ararat. It is also hard to win constant attention of customers in this category. Even if a person liked the brandy, he would unlikely be able to recognize it among such variety of similar names and titles next time. – So on what do you usually rely in such a difficult situation? – One of our strategic aims is a complex development of “Armenian Brandy” category, involvement of new consumers, which have been hard to attract by the visual appearance even since the Soviet period. We are planning a huge distribution work to solve this problem. It is very important for us not only to “fill the place” on different counters, because many federal Russian retail networks know us well enough, and we are planning to reach quantitative distribution in a very short of time. Qualitative distribution development and serious work with wholesalers, retailers and consumers is essentially important for us. – The main instrument here is competent branding coupled with stably high quality. We have several rather good collections, notably “Matridat”, “Gayason” and already mentioned product line “Armenian Brandy”. But we put special emphasis on our new brand, “Zhemchuzhina Armenii”. – What is the best advantage of this brand? – On the “Prodexpo” exhibition we have already demonstrated this product to our partners and we are content with results. Official start of this product in Russia took place in March 2013. Now I can tell that this product attracted a lot of attention and was a success not only with professionals, but also with well-experienced consumers. Sale is the best indicator of ides success, and we achieved impressive results in this sphere. Being the bearer of centuries-old traditions of Armenian wine-making, possessing rich experience in spirits production and having considerable raw material base, we can afford to form attractive price for this product without any losses in quality. We value high quality and the value of the product we offer more than high marginality. Considering such democratic price the product is originally designed and stands out on the counter. A simple brandy name, which is easy to remember, is well combined with an exclusively designed bottle form. At the same time, we decided not to refuse the classic color design of Armenian brandy label. The label of “Zhemchuzhina Armenii” is designed in black, white and golden colors, and it produces worthy impression on consumers. Such elite and stylish design, where golden color symbolizes precious contents of the bottle, gives the consumer a hint that this brandy will not only be the decorative element of a festive table, but also a perfect present for a respectable person. In a word, we did our best to attract our consumers’ attention, to make them take the bottle of “Zhemchuzhina Armenii” from the counter. Our brandy’s quality does the further work on promotion itself. Noble notes of chocolate and vanilla as well as tones of dried fruit are felt even in cheaper versions of the beverage. Brandy of every collection possesses irreproachable and smooth taste. And it is always a pleasure to enjoy the product again and again, which is considered to be a real pearl in Armenian wine-making art.